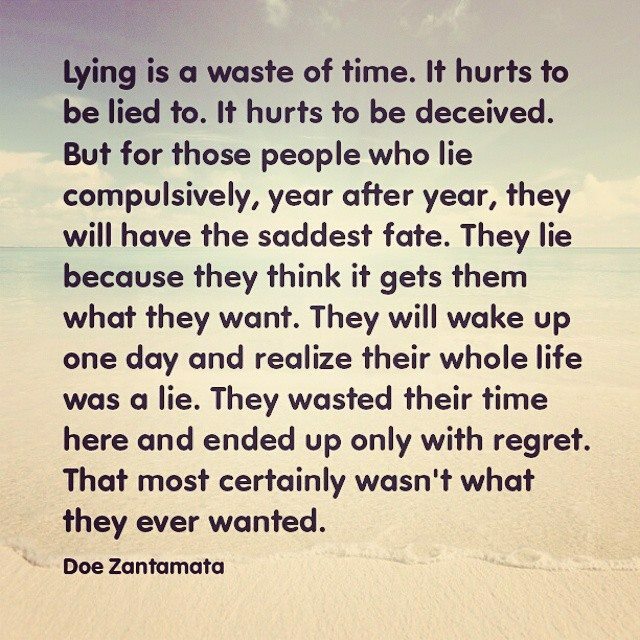 Lying is a waste of time. 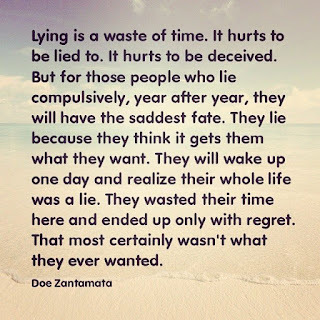 It hurts to be lied to. It hurts to be deceived. But for those people who lie compulsively, year after year, they will have the saddest fate. They lie because they think it gets them what they want. They will wake up one day and realize their whole life was a lie. They wasted their time here and ended up only with regret. That most certainly wasn't what they ever wanted.